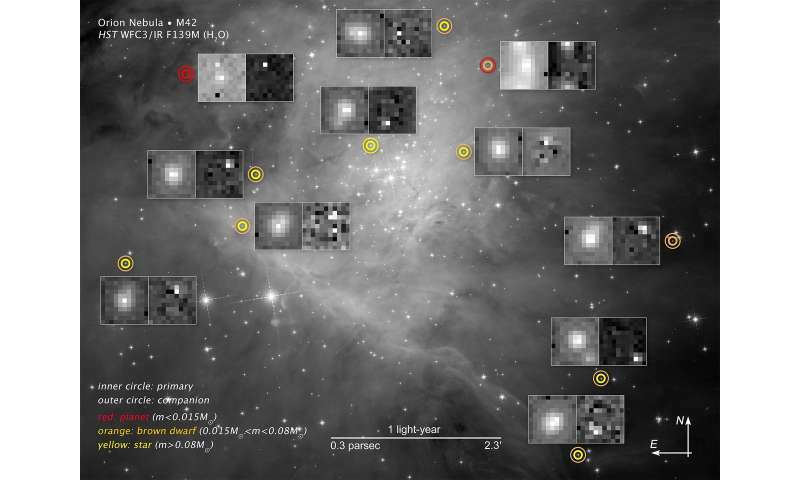 Using NASA's Hubble Space Telescope to peer deep into the vast stellar nursery called the Orion Nebula, astronomers searched for small, faint bodies. What they found was the largest population yet of brown dwarfs—objects that are more massive than planets but do not shine like stars. Researchers identified 17 brown dwarf companions to red dwarf stars, one brown dwarf pair, and one brown dwarf with a planetary companion. They also found three giant planets, including a binary system where two planets orbit each other in the absence of a parent star. 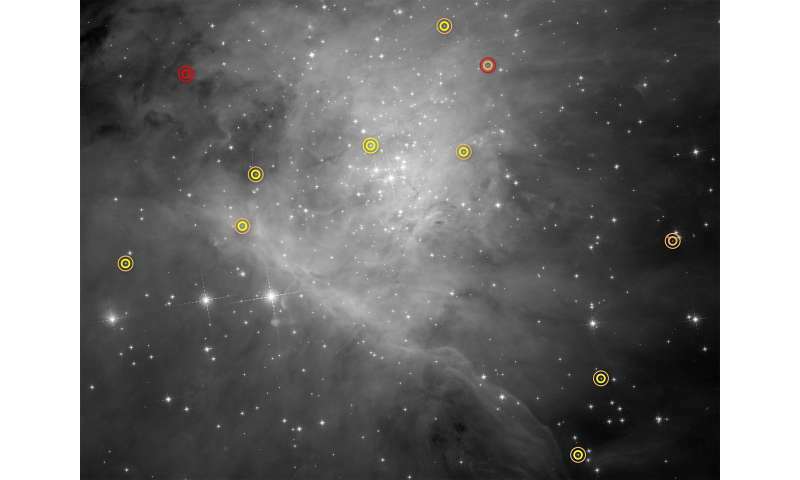 This survey could only be done with Hubble's exceptional resolution and infrared sensitivity.